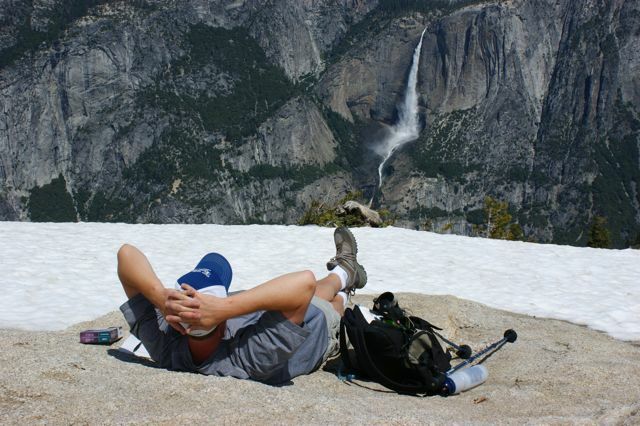 I’m still feeling the effects of Yosemite Summit 2009. It is difficult to describe this event to someone who has not gone; it is truly a wonderful trip on so many fronts. 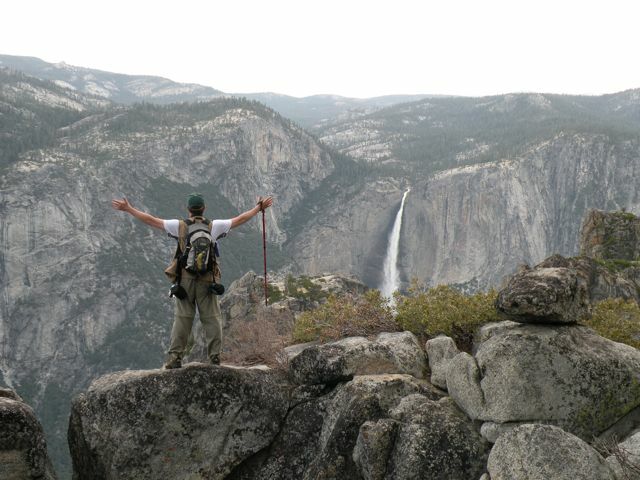 But it is my prayer that some descriptions, some pictures, quotes from the guys and a video might help you get a glimpse of the unique experience Yosemite Summit is for the guys who take the time away from ministry to invest in their walk with God and a few other good men who share their passion for children’s ministry. After the neat group of guys God brought together for the first Summit, I honestly was a little worried that the second year might feel different, but again God brought together a group of men who all got along great and seemingly instantly we were like old friends. I now get to pray the same for 2010! 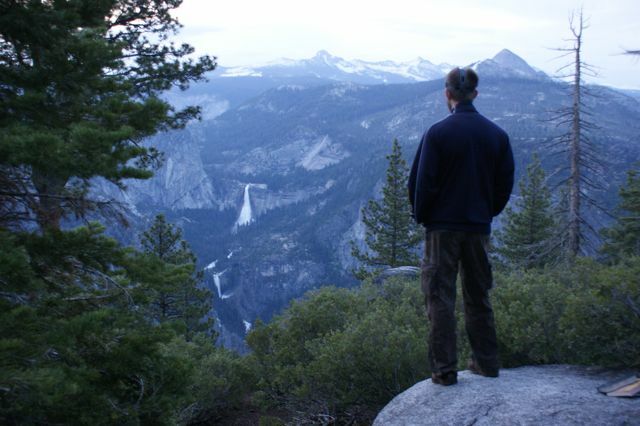 There is simply no way to describe the grandeur of the vistas at Yosemite National Park. Pictures can’t even come close to capturing the awe of looking out from one vista to another across the sprawling valley below. It is like you can reach out and touch the presence of God. 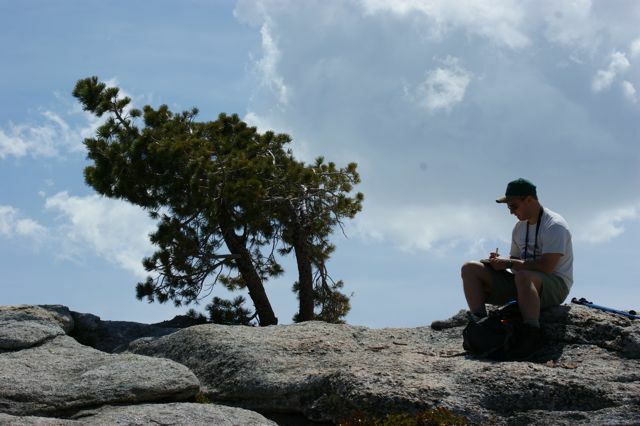 One of the highlights of Yosemite Summit is getting some time alone in magnificent places to think, pray and journal your thoughts. All the usual distractions of life are hundreds of miles away… and somehow God’s voice is just so much clearer, if not louder. Thanks so much for an awesome week! It was a real joy to hike with fellow CPs. I was blessed by each guy sharing each night and energized by the encouragement and new ideas shared. The spiritual challenges from Karl, were spot on and a great tool for God to work in my life. I look forward to continuing our new friendships. God Bless each one of you and may your lives and families and ministries never be the same! 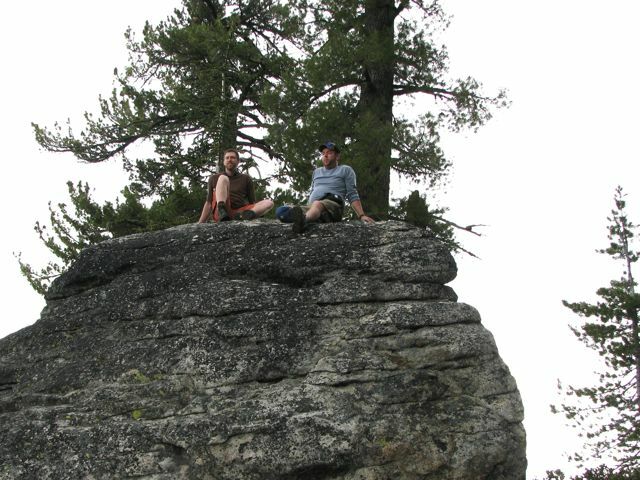 We often were together as we hiked, but then had times to split up for some solo time as well. The balance between fellowship and solitude is not managed strictly, but seems to just naturally unfold as we hike at different paces, regroup at the most spectacular sites, and gather for meals along the trails. How do you describe the feeling of standing at the top of a mountain? While we always stayed a safe distance from truly deadly or dangerous drop offs, you are often near places where the ground soon gives way to sky where hawks and eagles drift by. To be looking straight across at a water fall that is pouring hundreds of feet to a valley below you is awe-inspiring. While the falls seem distant, often you can still hear their roar as they crash into rocks thousands of feet away below and across the valley. 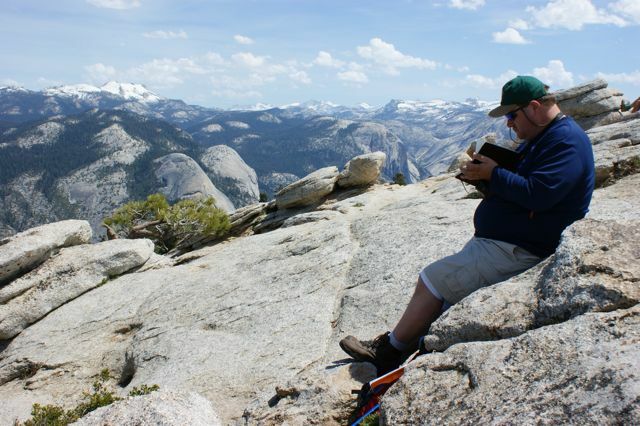 While much of what is experienced in Yosemite remains here or in our memories, the time invested in journaling helps take much of what God stirs within us back home. 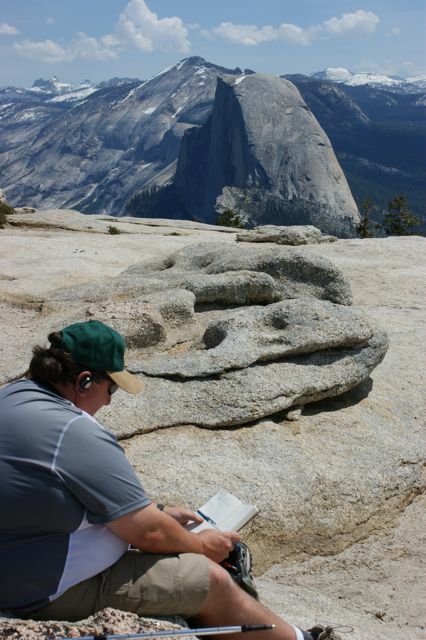 I love rereading from my Yosemite journal and then closing my eyes and remembering the place where I wrote those words. Yosemite Summit met all my expectations and I came away feeling like it was one of the best things I could have done for my relationship with the Lord and my ministry. I love the idea of allowing retreat, re-create times to rekindle my love for God, my family and my ministry. Because of today’s technology, it is wonderful to be able to have worship music playing in head phones as we hiked, journals, or just relaxed. At other times, walking in silence and allowing God’s creation to be the sound track was equally beautiful. With the distant roar of countless water falls, the chirping of birds, rustling of leaves and the occasional scurry of an animal broken only by the steady plodding of our footsteps, Creation offered us the most fitting background music. I loved seeing the guys relaxing and can’t help wondering, how often do they truly get to relax back home – where they totally and completely let go of everything and just enjoy the presence of God? One of the ways I worship is through the lens of my camera. While no film can capture the majesty of this place, it sure is fun trying. At least you get to take glimpses of it home to enjoy over and over again. Around every turn is yet another “perfect shot” that for some segments of the trip, I had to simply put my camera away and soak it in knowing that being there is better than any picture from there. While we don’t do any ‘real’ climbing with ropes and gear, there are plenty of rocks that whisper, “Climb me!” And once ascended offer either a better view, or simply a satisfying feeling of having accomplished something worth relaxing and soaking in. 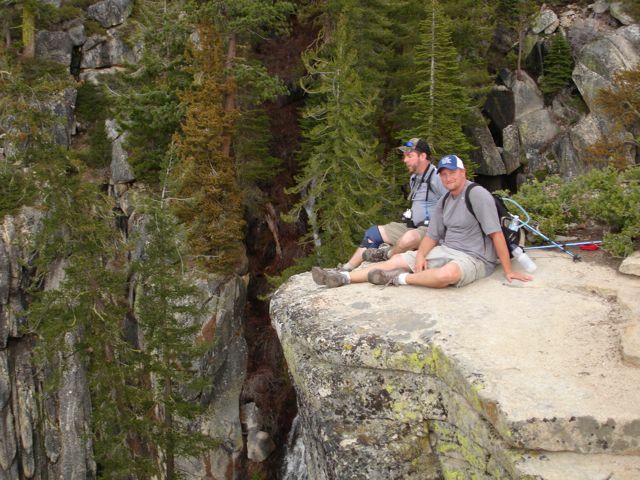 Nothing makes the heart pound like being near the edge of a cliff. And while our wives may fear our curiosity, we were always safe and looked out for each other. But nevertheless, sitting near an edge is a profound way to realize one’s humanity and to appreciate every day God grants us to worship and serve Him! 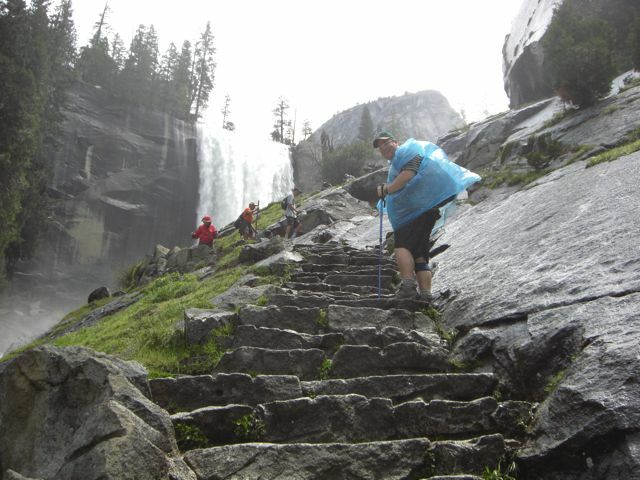 One of the highlights of Yosemite Summit is a hike that will most likely be included every year, the Mist Trail. There is a stretch where you’d get drenched to the bone if you didn’t wear a poncho! The mist from the thundering waterfall becomes so thick it is almost blinding and the sound of the water fall thrilling. Plus, realizing you will soon be standing at the top at the very edge (behind a railing!) makes the countless stone stairs worth every step. 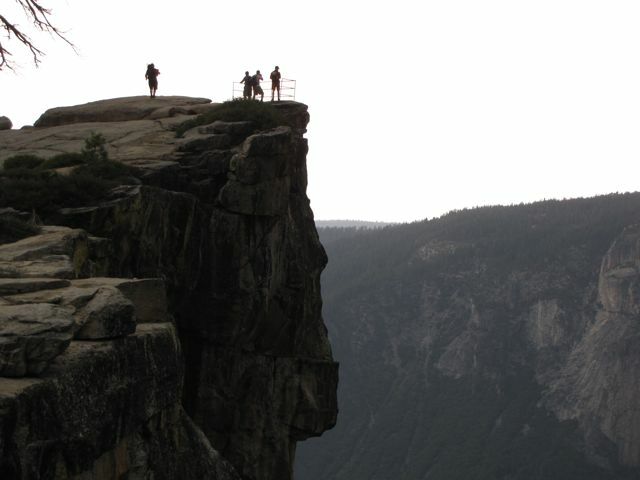 This is Taft Point, one of the highest vista look out points in Yosemite (and one of the few with a railing) where you can peer straight down over 3500 feet! It was while hiking back from here that I was nearly stuck by lightening in a hail storm that rushed in on us! 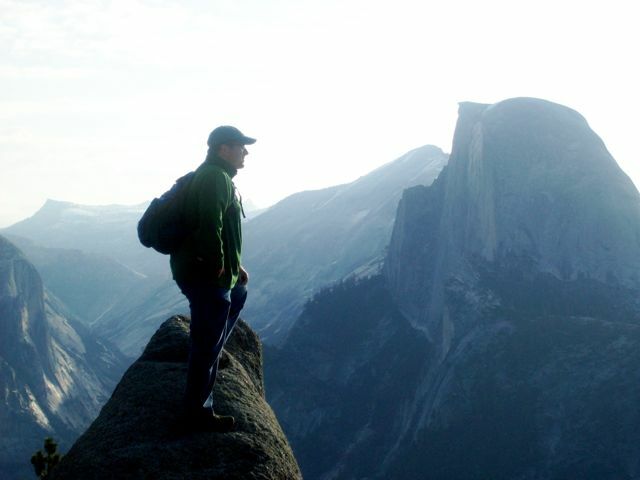 The time away at the Yosemite Summit gave me the encouragement I needed, the time I needed to confront the hard issues I had been pushing back, and the conviction to embrace who I truly am in God’s eyes. 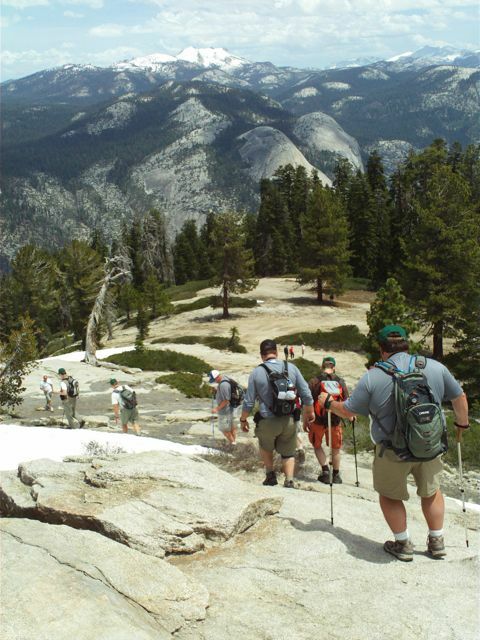 Yosemite Summit is an event that will recharge you as a child of God, a husband of your wife and a father of your children. The investment is worth it because the event will impact your walk with God and your relationship with your wife and kids. I can tell you that this single week will have an impact on the rest of my life. 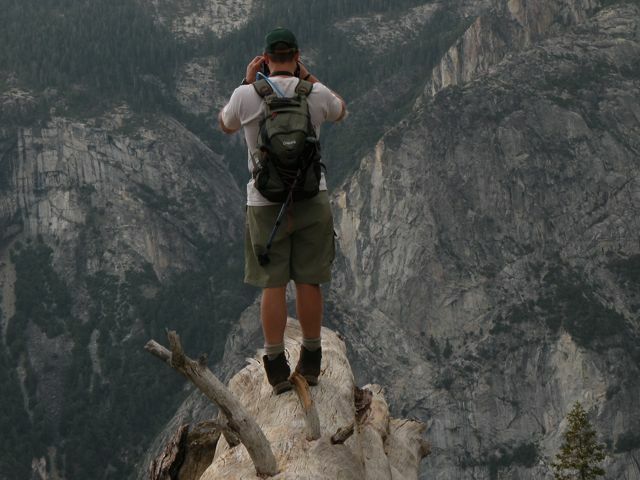 Yosemite Summit 2009 may be over, but it’s impact will last a life time. 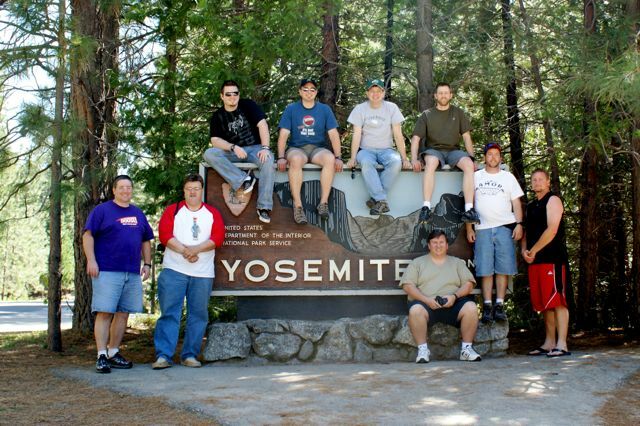 It is now time to start praying about whether God would have you join us for Yosemite Summit 2010! Yosemite Summit was a huge blessing and a very worthwhile investment in helping me be refreshed in my relationship with God and helping to keep me centered in my relationships with my wife, kids and my church. 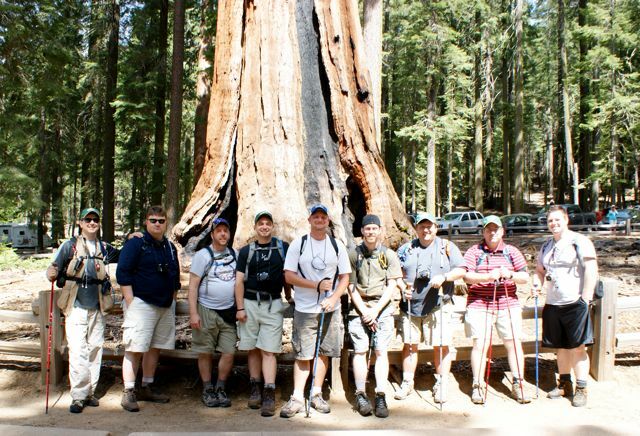 Walking by yourself part of a day through towering Sequoia trees praying to God and enjoying his handiwork after having spent time being encourage by and with 8 Christian guys is priceless! – Scotty H.